Ecommerce management tool SureDone has integrated SEMA Data Co-Op's (SDC's) database of aftermarket auto parts into its multichannel platform. Online automotive parts retailers who are members of the SEMA Data Co-Op (SDC) will have a robust solution for access to tens of millions of parts from over 500 different brands and manufacturers along with automated listing, inventory management, order management and drop shipping. "Having increased access to quality data from a strategic ally like SEMA Data Co-Op is a great opportunity for our customers," said Chris Labatt-Simon, Executive Vice President at SureDone. "We have an incredible platform to help our customers automate product management, listing, inventory and orders, and this alliance gives our customers great data inside the platform to build on their revenue opportunities." Automotive aftermarket parts retailers who want to list high quality, manufacturer updated data to marketplaces such as Amazon, eBay, Walmart and Jet now have access to SDC's immense database with the ability to easily list this data, including extensive information such as detailed descriptions and product fitment. SureDone will convert the ACES fitment data in SDC's database to the eBay fitment format, increasing the value of the content on eBay Motors. Phase Two is expected to include matching UPC values to Amazon ASINs and also eBay category matching. "When our extensive data is made available through software like SureDone it increases the value of what we offer to our membership," said Jim Graven, Senior Director of Membership at the SEMA Data Co-op. "We are pleased to have created a strategic alliance with SureDone, and we are excited for our members to have an additional opportunity to automate their business and increase their sales and revenue." Using SureDone's advanced automation engine and their numerous partnerships with warehouse distributors, SureDone's users will be able to list products from the SDC database, connect to distributors for the latest inventory levels, consolidate orders into a single interface and then automatically route them for fulfillment using SureDone's drop shipping module. Marketplace translation and management solution WebInterpret now supports eBay car parts listings in the UK and Germany. Car parts sellers can now have all their inventory translated by Webinterpret and listed internationally. Beta users have seen up to a 71% growth in international sales, says Webinterpret. UK vehicle parts selling tool BreakerPRO now automatically adds a list of compatible vehicles to listings. After adding the Manufacturers' Part Number a list of compatible vehicles is displayed, and then included in eBay listings. Online marketing software for vehicle sellers Dealer.com has partnered with Hyundai to make its system available to all 830 Hyundai dealers in the US. Parent company Dealertrack made an agreement with Hyundai Motor America establishing Dealertrack and Dealer.com as endorsed providers in the Hyundai Dealer Digital Marketing Program. "The partnership with Dealertrack will allow our Hyundai dealers to leverage Dealertrack's connected digital marketing solutions to bring more efficiency and value to the shopping and purchasing processes," said David Tourtlotte, senior group manager, Retail Marketing, Hyundai Motor America. "At Hyundai, we focus on providing an empowered automotive shopping experience to ensure all touch points with our brand – from online to in-store – are positive and rewarding." "As the automotive retail landscape evolves, and the online and in-store car shopping experience continues to converge, our partnership with Hyundai will help their dealers transform their businesses," said Wayne Pastore, senior vice president and general manager, Digital Marketing, Dealertrack. "This partnership builds on an already strong working relationship between Dealertrack, Dealer.com and Hyundai and will help Hyundai dealers attract, engage and convert more online vehicle shoppers than ever before, and build and grow their businesses." Automated Hyundai data and content. A link to the dealer's website from Hyundai's online Dealer locators. Special pricing on Digital Retailing, Advertising and Managed Services. As well as Dealer.com's online marketing solution, Dealertrack provides the industry's largest online credit application network, connecting more than 20,000 dealers with more than 1,500 lenders. UK car parts inventory and listing tool BreakerPRO now supports PistonHeads auto parts classified ads. PistonHeads classifieds costs £30 per month for unlimited parts, and BreakerPRO charges an additional £25 per month for the integration, in addition to the standard £150 per month subscription fee. 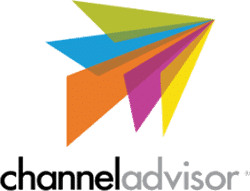 ChannelAdvisor's AutoCommerce 2015 will take place on March 30, 2015 at the Aria Resort and Casino in Las Vegas, immediately before the Catalyst Americas 2015 conference. AutoCommerce 2015 will provide attendees with an opportunity to hear about online strategies and optimization tactics from automotive and powersports e-commerce experts. The event will feature content tailored to automotive retailers of all sizes, including sessions to educate attendees about the latest trends and best practices for selling online. There is no registration fee to attend AutoCommerce, and it requires a separate registration from Catalyst. "Many automotive retailers are scrambling to find ways to optimize their online business," said David Spitz, ChannelAdvisor president and chief operating officer. "New channels are driving revenue opportunities, competitors are everywhere and consumer demand is expanding well beyond the United States. Through meet-and-greet opportunities and educational sessions with top automotive experts, AutoCommerce 2015 helps retailers develop strategies to stand out from the competition and accelerate their online revenue." Online vehicle sales system Dealer.com has added technology suppliers DealerCentric and CarGurus to its Certified Provider Program. DealerCentric provides an instant credit application process, and CarGurus creates sales leads from its online car valuation tool. Both technologies can be integrated into the Dealer.com platform. Pete MacInnis, CEO of eLend Solutions (the suppliers of DealerCentric) said "Our Get Pre-approved in Seconds program has been the best performing online credit application product on dealer websites for years. Integrated with the Dealer.com overall solution, it will enable better optimization of dealer websites and data metric sharing between our companies, all to the benefit of our joint dealer customers." Martha Blue, VP of Business Development for CarGurus, said "We look forward to introducing Dealer.com dealers to our innovative platform and connecting them to the millions of car shoppers that rely on CarGurus to find great deals." Vehicle dealership technology supplier Dealertrack is to acquire Dealer.com, a provider of online marketing and management software for vehicle sellers. "By joining forces with Dealer.com, we will be able to provide dealers, OEMs, and other industry partners with a deep and broad array of integrated solutions," said Mark O'Neil, chairman and chief executive officer, Dealertrack. "Dealer.com and its team, whom we’ve long admired and respected, complement our solutions, catapulting our vision of delivering the market leading suite of integrated technologies capable of transforming automotive retailing even further." Dealertrack will acquire Dealer.com for 8.7 million shares plus $620 million in cash. Ecommerce management tool for car dealers AutoRevo has released enhanced photo editing tools. New photo manipulation features available from within the app include crop, color adjustment, and image effects, and are covered in detail on the AutoRevo blog. eBay design company Frooition have made their Froo! Bulk Revision tool free for making changes to auto parts compatibility information on eBay. eBay have recently introduced Parts Compatibility to boats, and sellers will need to revise and update their listings with the correct compatibility information. Frooition's tool will help automate this process. Online vehicle sales software provider Dealer.com has overhauled their software. Included is a new central dashboard called ControlCenter, an analytics suite and monitoring dashboards, enhanced SmartSites and CarFlix videos, and a SocialRelationship Manager - a set of tools to help dealers manage their social marketing including Facebook Apps. The package also includes service marketing tools such as a personalized "online garage" for each customer, with emails sent for scheduled maintenance, vehicle recalls, incentive offers, and a monthly newsletter. Vehicle trading management solution Dealer.com has added a new online marketing package aimed at retaining customers. The Service Marketing Package provides each sales and service customer with a free "Online Garage" which includes personalized service and repair information along with hundreds of articles and videos, community features, and information and reviews about new vehicles. Online sales management solution for vehicle dealers AutoRevo has added new features for eBay, Craigslist and Facebook. Quick summaries are now available for Craigslist and eBay Motors, displaying listing history, number of hits, number of bidders, number of watchers and more. AutoRevo can also now place a seller's entire inventory on their Facebook page. Vehicles are automatically posted to Facebook with a photo and summary information, and a link back to the dealer's website. Search and filter functionality are available within the Facebook page. Sales system for car dealers AutoRevo has released version 2.0 of its dealer websites solution PowerSites. PowerSites 2.0 features new search functionality, improved SEO, up to 14 vehicles on the home page, coupons on any page, and more. Other new AutoRevo features include vehicle notes that are visible only to dealership staff, and a sales statistics dashboard. Auctiva have added support for eBay Motor's parts compatibility feature currently being rolled out across Motors categories. "eBay has clearly articulated the significant benefits that parts compatibility listings provide to sellers, [including] the boost their listings will receive in Best Match," says Tony Maxey, Auctiva's senior product manager. "We strive to be the listing tool of choice for eBay sellers, and delivering parts compatibility listing capability is an important part of fulfilling that objective." eBay began adding parts compatibility to selected eBay Motors categories in March. The AutoRevo sales management tool for car and truck dealers now has an iPhone application. The new AutoRevo Mobile app can be used to decode VIN Information, take photos and videos, manage inventory and run Carfax reports. eCommerce solutions provider Kyozou has announced an integration with automotive software company Geckobyte. The integration provides shoppers with a visual tool to find wheels and tires matching their vehicle. The matching tool can be displayed in an eBay Store and eBay listings. "When combined with the tools offered by Kyozou, sellers have a very powerful tool to increase and manage sales," says Tiegen Fryberger, President of Geckobyte. "This synergy with Kyozou and Geckobyte empowers online sellers by creating an exact-match wheel/tire fitting tool for their customers - a first in the industry." Auction management solution Kyozou now has a variant specifically for eBay Motors sellers. The new site was launched at the annual SEMA Auto Show in Las Vegas. Registration at www.kyozoumotors.com is free, pricing information is available on application. eCommerce solution provider Infopia has formed a new team, called The Infopia Motors Group, that focuses on merchants selling in the motors and parts and accessories (P&A) sector. Motors are one of the largest markets on eBay, and Parts and Accessories is the fastest growing category. Many merchants in the sector are selling a significant amount online. The Infopia Motors Group introduces these merchants to best practices and eCommerce technology that automates business processes - freeing up time to focus on other strategic objectives. Classified ad and eBay listing creator vFlyer has moved out of its beta development period, and begun charging for its service. There is still a free (ad supported) service supporting up to 10 published flyers, and paid plans range from $19.95 per month for up to 25 published flyers, to $79.95 per month for up to 125 published flyers. vFlyer specialises in high-value items such as cars and real estate. ChannelAdvisor have announced a new half day "Insite" conference for PowerSellers selling on eBay.co.uk. The event is dedicated to the eBay Motors Category and provides information on the latest market trends and ecommerce strategies, as well as inviting sellers to participate in group discussions and exchange ideas. The conference is held on 28th November in Birmingham. More information. eBay and eCommerce specialists Frooition and Yahoo are sponsoring an Internet Advertising Bureau (IAB) conference in London entitled “Engage for Autos”. The event is being held at the Royal Commonwealth Society, London WC2 on November 30 and is aimed at auto manufacturers, retailers and specialist creative agencies and plans to show them how to exploit the latest Internet marketing opportunities and increase their sales. More information . eBay market analysis tool AuctionIntelligence is introducing an add-in which analyzes data from eBayMotors.com. The add-in will download detailed vehicle data for analysis, and is priced at $49.99 per month for an introductory period, then $74.99 per month. Beta testers are currently being sought. AERS, the company behind research tool Terapeak have launched a new tool specifically designed for eBay Motors Parts and Accessories (P&A) sellers. Terapeak’s Motors P&A Research researches the past year of sales activity on eBay, and reports on the best time to sell, how much to sell for, and which keywords perform best. Auctiva's now supports eBay Motors and eBay Australia. The new release also includes automatic feedback services, and support for external image hosting. eBay is offering a free trial of its eBay Motors listing service CARad Express. Until midnight on Sunday 6 November the service will be free for passenger vehicle and motorcycle listings on www.ebaymotors.com. Normal eBay fees still apply. CARad Express normally costs $9.95 per listing plus eBay fees. eBay is offering its new CARad Express tool for free until September 18. CARad Express is a listing tool for the US eBay Motors site, and creates professional descriptions with up to 35 photos, at a normal price of $9.95 per listing (not including the normal eBay fees). CARad also provides an auction management tool aimed at professional vehicle traders. Mac eBay sales manager iSale now supports listing to eBay Motors and the use of Item Specifics. Products listed in the directory have been checked for eBay Motors support, and members can now search for software supporting Motors in the Power Search. AuctionIntelligence, the analysis tool, has added support for eBay Motors.